Earlier today, Getty Images announced a new embed feature that will allow people to access and share photos from its extensive library of images for non-commercial purposes. 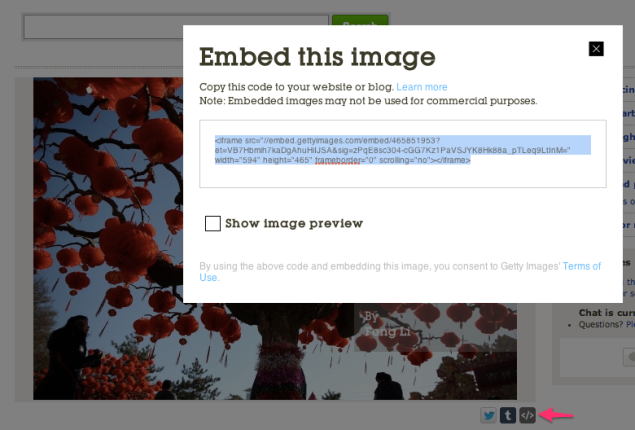 We have been working with Getty Images over the past few weeks and are excited to bring this feature to WordPress.com! Imagery is a powerful way to communicate your ideas. Whether you want to profile a famous personality or share your passion for soccer, you can now do so with Getty Images’ photography. With this new embed feature, WordPress.com users can access one of the world’s largest digital archives in a simple and — just as important — legal way. An accessible summary of this article is available in the chapter and verse section at the CS Monitor. This original essay is on the Wall Street Journal site at this link, which is less accessible. On writing, the muse, and the cat. From Seth Godin: Mass production and mass media.